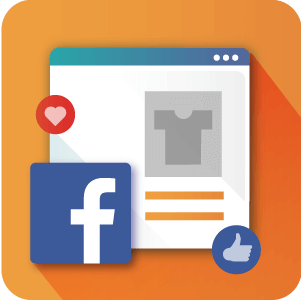 The Facebook Direct Campaign Publishing allows you to promote products directly on your company’s Facebook Page. Each promotion is automatically tracked, giving you quick access to sales numbers, profit, conversion rate, and more useful data. Save Time. Share Your Products. 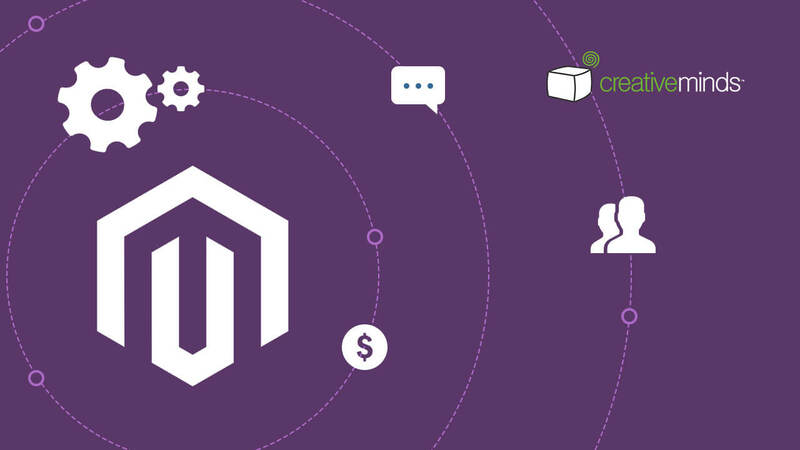 You can create multiple campaigns for products, cart rules and catalog rules. The module includes shortcuts that help you easily start the campaigns and boost your brand's social presence. Each promotion is automatically tracked, giving you quick access to sales numbers, profit, conversion rate, and more. 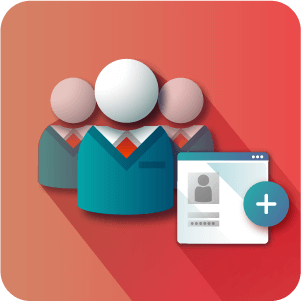 Security is ensured: there's no need to hand password to the module or to third party applications, as the oAuth authentication method is employed. 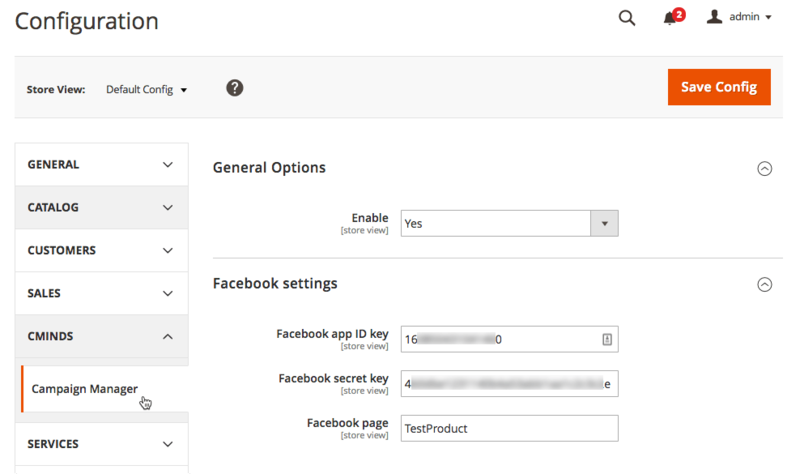 Integrate With Facebook – Safely associate a Facebook account with the app. The user must be able to post content on the company’s page. Easily Create Campaigns – Either create a campaign from scratch or do it directly from a product page. All promotions can be managed in a single dashboard. Track Results – The module automatically tracks campaigns, giving you access to a seires of essential data, such as conversion rate and profit. 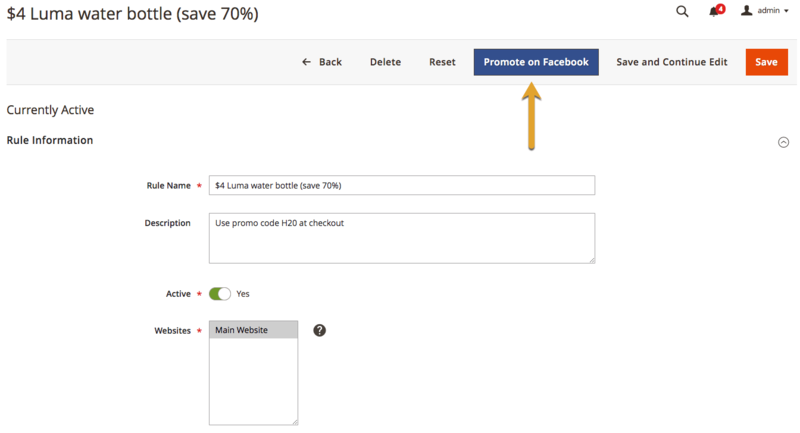 Promote Products, Cart Rules and Catalog Rules – Diversify your social presence in an efficient by sharing three kinds of promotions on your company’s page. Smart Dashboard – Manage every campaign efficiently by making use of a central dashboard which lists all ongoing and inactive promotions. Safe Connection – No need to disclose passwords: the extension uses the safe oAuth authentication protocol. It is granted limited access, only to perform necessary actions. Time-saving Shortcuts – Create a campaign directly from the product page, streamlining the editing process. 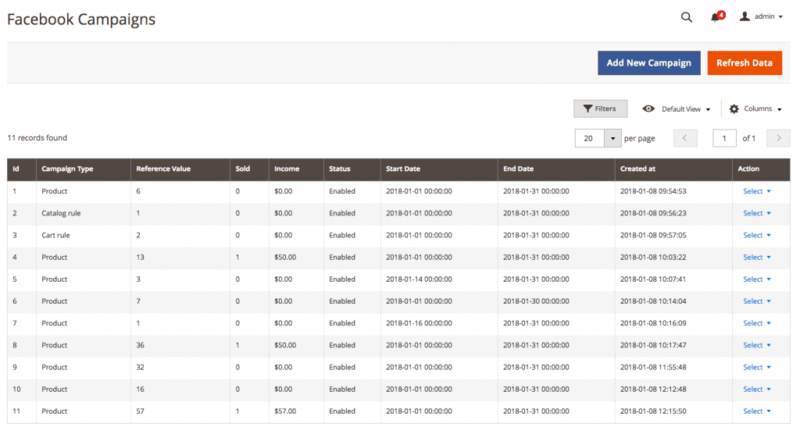 Powerful Tracking – Monitor results for each Facebook campaign. 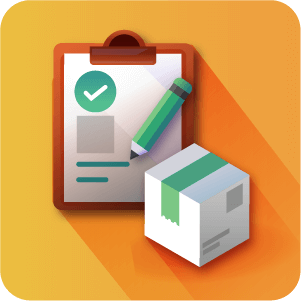 Included indicators: profit, conversion rate, sales number, average of items sold durint the period, and more. Yes, the Facebook App is required for this extension to work. 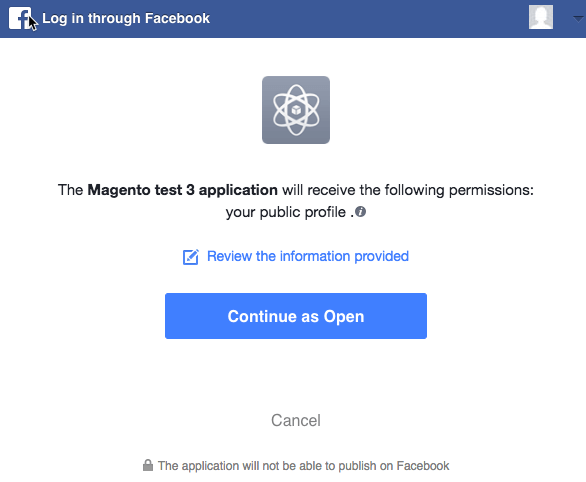 But fear not, creating a Facebook App is a painless process as outlined in this Help article. Does this extension automatically create a Facebook page? No. 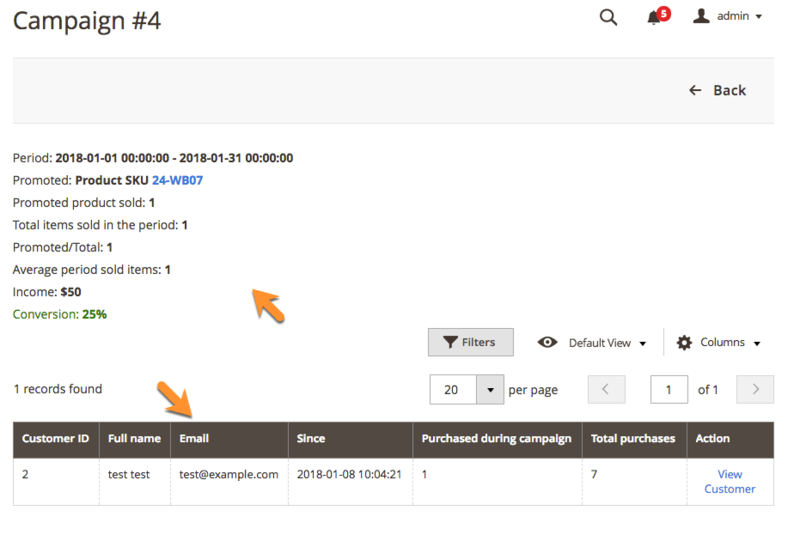 The Campaigns Manager extension requires that that a page has been made manually already which it will then be able to connect with. To learn more about connecting your site with Facebook using our extension see this Help article. Does this extension work with Private Profiles or Groups? No. Our extension requires that you have set up a Business page, it doesn’t work with profiles or groups. 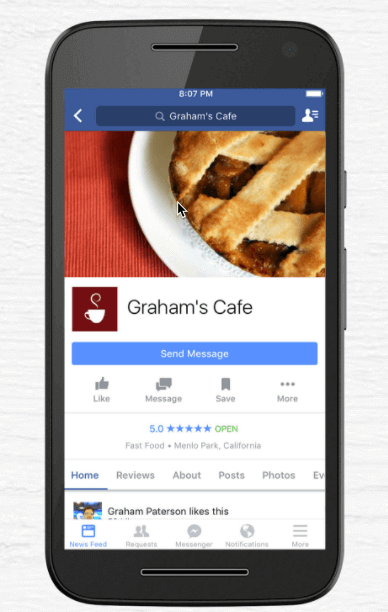 To learn more about Facebook Business Pages see their Setup Guide. How many Facebook Pages can this extension connect my store with? 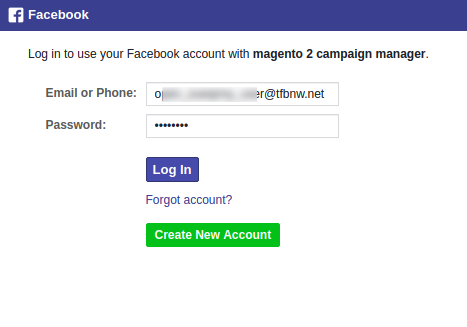 Right now, the Facebook Campaigns manager extension only connects with one Facebook business store. Does the campaigns manager extension provide any sort of analysis or statistics of my campaigns or do I need to use the Facebook Insights feature? Yes, there are key statistics available for each campaign such as the length of time the campaign was running for and the conversion rate for each Campaign. There is also a list of customers who purchased through the campaign which can be found in the Campaign detailed view. For demographics currently you will need to go through Facebook. There is also an overview table of all campaigns run using the extension. Do I have to log into Facebook for this extension to work? You need to log in and to give the extension permission to manage your page at least once. 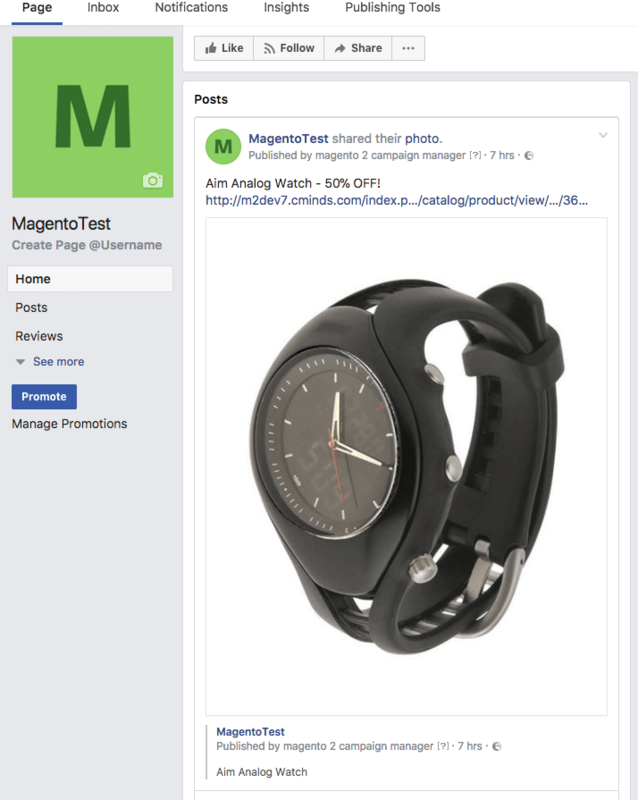 Does this extension allow for the creation of Paid Facebook ads for products? No. The extension will create a post including an image, some copy and a link to the product on the site (tracked by the extension). This can however be boosted through Facebook which will vastly increase the exposure of the campaign and will result in more sales. What kinds of Campaigns can the extension be used for? 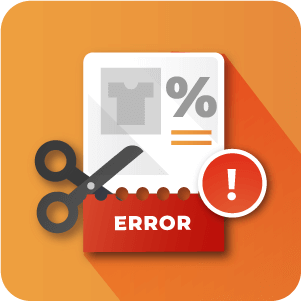 You can use the campaign manager extension for promoting products, catalog rules or cart price rules. To learn more about campaign types see our Documentation.